If you’ve been charged with a crime, the first plan of action should be to immediately contact a criminal defense attorney so that you can be informed of your rights and also to prepare you. We have provided the following answers to recent Frequently Asked Questions in regards to our the Blanch Law Firm and our criminal defense practice. Can the Blanch Law Firm represent me? The Blanch Law represents all types of criminal defense and white collar crimes. The Blanch Law Firm attorneys are licensed in New York, New Jersey, California, Tennessee, Pennsylvania and various federal courts. The firm can typically gain admission for other state cases through the Pro Hac Vice process. 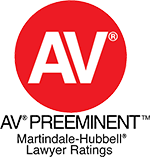 Our criminal firm and its attorneys have been admitted pro hac vice in other states including but not limited to Nebraska, Connecticut, Michigan, & Alabama. For more information if we can take on your specific case or charge, call us at 212-736-3900. If you are arrested, you shouldn’t say anything that would incriminate you to the police. You should invoke your right to remain silent until you have spoken to a criminal lawyer. The police office will recognize your Fifth Amendment rights. You also shouldn’t consent to a search of your vehicle or person. Always be respectful and conciliatory even if you believe you are wrongly accused and/or arrested. Never physically resist arrest, verbally attack, or run from a police officer. This applies to whether you believe you are innocent or know you have committed a crime. Respectful behavior towards the authorities can give you a better chance for a favorable plea agreement if found guilty. 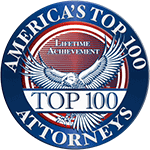 Contact an experienced criminal defense attorney immediately. If you are arrested and initially confess to a crime, it becomes even more important for you to consult with a top-rated criminal defense attorney. In our years of experience, we’ve found that a guilty plea shouldn’t be your first and only option. The confession you have can be dismissed entirely depending on the circumstances, especially the confession was not made according to the law. The Blanch Law Firm can also take your situation into account and determine how to potentially negotiate with a prosecutor, and can also assess whether you have a chance of beating the case in court and having the charges dropped. The Blanch Law Firm can work with you on a personal level to determine the best option for you, even if you believe to have incriminated yourself. Before you commit to an attorney, it’s crucial that you take the time to meet with and get to know that person. Be wary of any lawyer that tries to pressure you for payment right away, especially if you haven’t yet had a chance to get all your questions answered. Don’t be afraid to ask a lot of tough questions and be cautious of anyone who promises specific results. Some attorneys will make promises – promises they can’t keep – simply to get your business. An ethical attorney will explain what things they are going to do to help you, but they will never guarantee a specific result. The arresting police officer will most likely tell you whether you are being accused of a felony or a misdemeanor. Felonies are crimes that are punishable by more than one year in prison. Misdemeanors can be punished by a fine and less than a year of imprisonment. 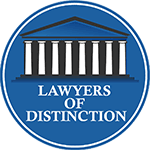 There is a misconception that the difference between a misdemeanor and a felony is simply based on whether there was physical injury or violence as a result, or simply the severity of the offense. Certain crimes, even minor misdemeanors, can become a felony if you are a repeat offender. . Consultation with an experienced attorney will reveal all of the options you have in defending yourself and obtaining the best possible outcome. In our experience, it is still crucial to obtain a lawyer even for minor charges or misdemeanors. A wrong assumption is that if the offense itself is minor, the punishment will be as well. This is NOT the case — certain minor offenses and misdemeanors can affect you for years. These consequences can range from a mark on your public record, an effect on being able to obtain employment or loans, higher insurance premiums, and even outright jail time. No matter what charges you are facing, you should always find out the potential penalties as well as the defenses you have available. The Blanch Law Firm have been helping people for over a decade as top-rated criminal attorneys who have found ways to lessen or even eliminate the consequences of the offense. Has The Blanch Law Firm handled a case like mine before? The criminal defense attorneys at The Blanch Law Firm has handled charges from shoplifting & misdemeanor marijuana possession high-profile white collar crimes and homicide — and most everything in-between. Our litigation experience spans multiple states and counties; our attorneys are licensed in NY, NJ, California, Tennessee, Pennsylvania, and in federal court. Chances are good that we’ve handled a charge like yours before, even though the details of each particular case differ greatly from client to client. Best of all, when you retain our services, you are getting the benefit of the experience of the entire team. 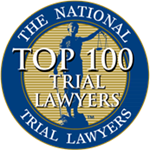 We routinely discuss strategies and debate the nuances of the law in order to narrow in on a particular issue and prepare for trial or negotiation. Contact us for answers to your specific questions. We hope you have found these frequently asked questions to be helpful. If you have any further questions about how The Blanch Law Firm can help you protect your rights, do not hesitate to contact us at 212-736-3900 for more information.